You MUST have proper keyword usage, Title Tags, Heading Tags and Alt Tags for your site to rank well in search engines, and so be found. Your web pages need to have addresses that work with your SEO. 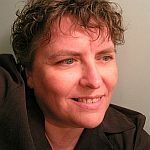 My “About” page is http://outcomemarketing.com/marketing-coach. My blog posts have both the category name and title keywords in their site addresses. For example, http://outcomemarketing.com/social-media/facebook-business-page It’s clear to a visitor and to Google what this article is about. 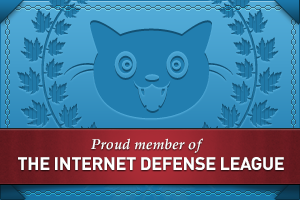 Many sites still use numbers, dates or other irrelevant references to name pages. Such a waste. Glance at the “above the fold” area of the home page of your site (the part visible without scrolling down). Will a visitor grasp, within seven seconds, what you can do for them? Your site needs original content, clearly written and edited. Illustrations and pictures are very much recommended. Regular content and updates are really helpful, which is why blogging is so effective. A contact form or other method of contacting you is essential. Company address and phone number must be on the site (ideally on every page) for your site to rank well in local search. Your site needs to be referenced by external sites. These can include Google Local, Yahoo Local, Bing Local, web phone directories and other business Directories, social media sites such as Twitter, Facebook, and LinkedIn. The more (quality) “pointers” aimed at your site, the more seriously the search engines will take it. Junk links don’t help – in fact they can detract from your site’s ranking on search engines. Information must be kept up to date for visitors. Copyright notices need to be current. Security updates must be done, and broken links checked and fixed. A skilled graphic designer can really improve a site, but simple, or even ugly sites can perform well. While these options can add value to a site, they should never replace any of the items in the “Need” section of this article. In particular, a home page with only video or Flash animation will utterly fail to be effective in drawing search engine traffic, since search engine robots can’t see the pretty animation. Google frowns upon reused and “scraped” content gathered from other sites, as well as low-quality short posts. In other words, they’ve recently changed their ranking system so that simply getting a bunch of people to write brief commentary on your site isn’t going to count as quality content. A couple of in-depth, original content articles on your topic per week (or even per month), is a better choice than a large volume of junk content purchased or attracted cheaply. A welcoming page that is primarily a big graphic with little text, other than “click here to enter”, is not an effective design for search engines. It’s also annoying. Don’t make your visitors do extra clicks unless it’s necessary. Even in situations where you need your visitor to select a language or country, incorporating that into the main landing page is a better choice. At Outcome Marketing, I build business websites for my clients that structurally have everything NEEDED to rank well on search engines. Of course, content is (primarily) up to the site owner, but I ensure that every site comes with enough training that the owner can go in and change content, add blog posts and keep the site updated. If you need your website built (or rebuilt) the right way, check out my full website setup package – it’s reasonably priced and has everything your website NEEDS. 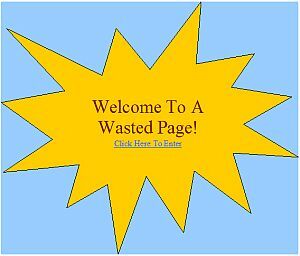 I not only like your advice, I enjoy the direct visual image of “Welcome to a Wasted Page”. Time is precious, and quality should be the judgement to all sites. I found your advice very informative and helpful. Thanks for the help. I mean the multiple updates per day is more important than ever.